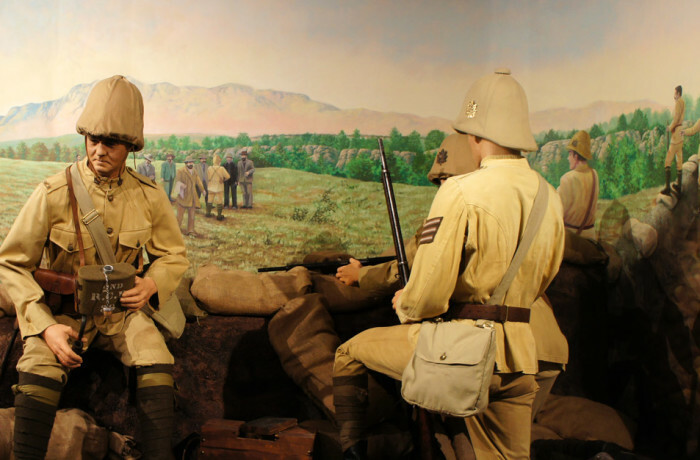 The Battle of Paardeburg was the first major battle fought by Canadian troops in the second Angelo-Boer War. It was the culmination of a move to relieve the besieged city of Kimberley in the Orange Free State in South Africa. The British, including the 2nd (Special Service) Battalion, Royal Canadian Regiment intercepted the retreating Boer army at Paardeburg.